You are never too old to have fun. Playing outdoor games presents a real opportunity for adults to relive their childhood days. Unfortunately, most adults tend to be overly committed to their professions or family responsibilities to the extent that fun and entertainment take a backseat. It’s never too late to try and here are some fun activities that will bring out the child in you. 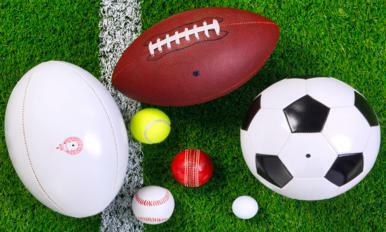 Games like soccer, volleyball, and football make great outdoor activities. Playing ball games for fun does not mean that you need some experience – trying a game for the first time for fun can be equally fascinating. Playing ball games often will leave you feeling young and energetic. Ball games also improve your social skills and cultivates the spirit of teamwork. When out in the field, you can try all sorts of races ranging from sack races, tied-hands race, to three-legged races. Besides the main event, you might consider adding some hurdles as a way of spicing up things and making the race more interesting. If possible, combine different racing events and awards points for each activity. Individuals/teams with the highest score are declared winners. Food games are a fun activity that lets adults mess around like kids. There are different types of food games. Some of these games include the Eaties, Swing Doughnut, and the Banana Split Relay among others. Playing food games is often seen as a better alternative to traditional outdoor games like truth or dare, which can be quite dull. Food games, especially if well implement guarantee lots of laughs and hours of fun. Outdoor activities for adults are a great way to help you get over what is bothering you. Of course, there is some falling and risk of getting injured, which is where the fun lies. So be a kid again and have as much as fun as you can!